Ahh, parenting, the toughest job there is. We all have different parenting styles to meet and adapt to the changing needs of our children as they grow. But sometimes in our efforts to give our children the best start possible, we make some massive blunders – and this new trend is one of them. A few less-than-helpful “parenting trends” have been called out in recent years, usually by a therapist or other parent who has “been there, done that” and wants to offer some advice. The “tiger” parent, who is demanding and overly strict, placing heavy expectations and excess pressure on their child. And now there are “lawnmower” (or “bulldozer”) parents, a term coined after a teacher posted on Facebook about a disturbing experience she had with a parent. The anonymous teacher posted on a teaching community forum, weareteachers.com, that she was called down to the office to retrieve something from a parent after her student demanded he bring it to school. What did the student so desperately need? Her insulated water bottle — in a school full of drinking fountains. This struck a nerve with the teacher because it is becoming all-too-common for our parent/child roles to be skewed. Kids are growing up faster than ever as they are consumed by information and communication in the digital age, and they seem to be facing adult situations before they should. But on the flip side of that, many parents are holding their kids back from emotionally growing up, and here’s where lawn mower parenting comes in. 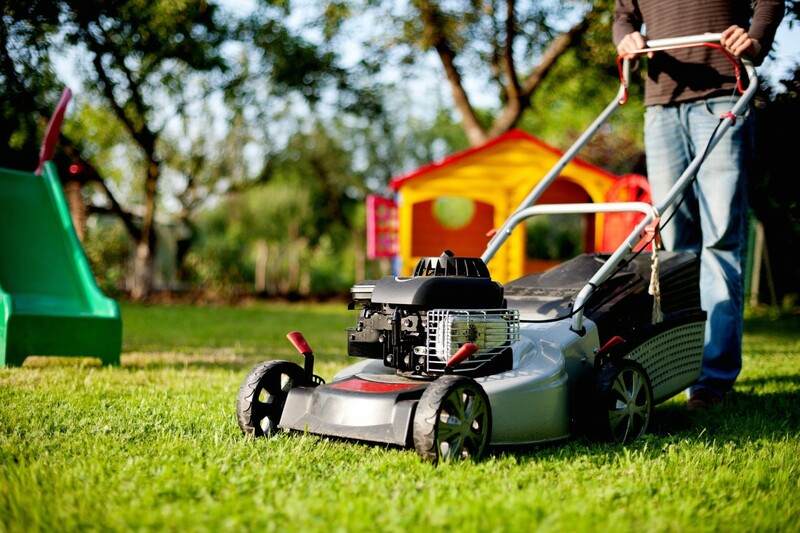 But as with many of the parenting styles we have seen in the news in recent years, lawn mower parenting can have serious consequences. Rushing to intervene in every little problem our child has leaves them underprepared to deal with conflict or issues on their own. They may have trouble communicating, accepting disappointment, or handling the smallest tasks on their own because they are so used to Mom or Dad “mowing down” everything to clear the path for them. It not only lowers a child’s confidence in their ability to make good decisions and weigh consequences, this style also stifles independence – which is detrimental for both parents and kids. We won’t always be with them to get them out of a situation or clear obstacles in the way of their goals. What will they do then? Psychologist Diana Baumrind developed categories of parenting styles in the 1960s, in what has become the foundation for those who came after her – Authoritarian, Permissive/Indulgent, Uninvolved, and Authoritative. And emerging terms like lawnmower parenting are often coined because they evoke negative aspects of these styles that can be damaging. By controlling everything in their child’s environment (authoritarian), parents are not teaching vital skills like resilience, self-control, and personal accountability – skills that are vital to become healthy, successful adults. Resilience, in particular, is a skill that all children must develop in order to navigate through adulthood. Mommy Underground recently reported on this vital skill, one that is totally stifled by the lawnmower parenting style. There will always be some new parenting trend dissected in the media, but one thing is clear. Experts agree that no one style fits all. Each child is unique, and each situation we come across in our parenting journey requires a different approach depending on the desired outcome and what we want our child to learn from the experience. A balance of rules and consequences, love and support, and guidance toward independence can fit the bill. After all, parenting is perhaps the greatest balancing act there is. What do you think of “lawnmower” parenting? Leave us your thoughts.